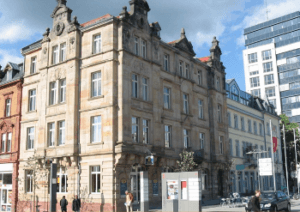 Kaiserslautern, Germany, April 5 2016 – On the 1st of April Creonic relocated its headquarters to larger business premises in downtown Kaiserslautern. The premises are in close proximity to the central station and satisfy the increased requirements due to the continuous growth of our company. The new location allows us to provide products and services of highest quality to our customers also for the coming years. The new address is: Creonic GmbH, Bahnhofstr. 26-28, 67655 Kaiserslautern, Germany.